Dating websites are a great tool for meeting people with whom you share a lot in common. Unfortunately, they don’t tend to prioritize religious observance, and often don’t hold it in the same regard as you do. That is why many turn to Christian dating websites. These niche services prioritize the things that matter to you most, like faith, spirituality, and Christ. Of course, it’s not easy to know which services might be best for your needs. There is nothing more frustrating than using services like Match.com and being matched with someone who doesn’t prioritize religion. Especially if you hold it in high regard. That is why I have only listed websites that cater exclusively to Christians. Not only are you guaranteed like-minded matches, you can also start things off on the right foot. With over ten million users, Christian Mingle is the best option for singles who understand the importance of choice. Of course, quality of service is important, too and that’s what makes this service my top choice. When you subscribe to Christian Mingle, you will be able to access great features like instant messages, live chat rooms, and message boards. A matching test evaluates countless factors, including your level of faith and details that you would also find on any other service. Additional features include a prayer wall, a searchable bible, and daily bible verses. 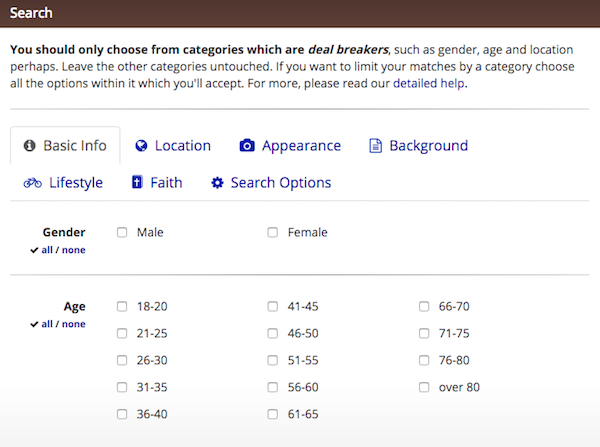 The service provides Christian dating for free, but you will have to sign up for premium features. Christian Cafe is one of the oldest Christian singles sites, having been around since 1999. Its endurance may be due, in part, to its management, which is staunchly Christian and, therefore, understands the needs of the community. Despite over 25,000 marriages in the books and hundreds of daily logins, the site does not rest on its laurels. It is constantly being improved and modernized. After all, the needs of the dating world in 1999 are quite different from those of today’s users. Some of its top features include the ability to search by denomination, level of faith, and church involvement, in addition to full chat capabilities through text, audio, and video messaging. 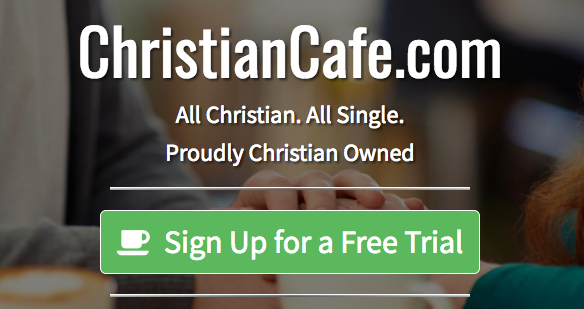 Although this isn’t a free Christian dating service, you can sign up for a ten-day trial to test it out. Not every faith-based service caters exclusively to those looking for a romantic relationship. Big Church is a great option for anyone simply looking for friends, bible-study partners, or even pen pals. Of course, its main purpose is to bring people together, and because it is part of the FriendFinder network, it has one of the most capable platforms behind it to do just that. Some of the most attractive features include a personal blog, member video uploads, and video chat. 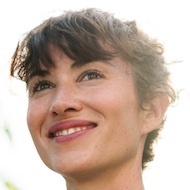 Big Church is one of the most interactive dating websites, with tons of rich features to keep you glued to the site like a bookmarkable bible and exclusive member-created online magazine. What Makes a Good Christian Faith Dating Service? A good Christian site understands the needs of its community. These include everything a generic dating service offers, plus extras designed for the niche. The top services include features that place Christianity front and center. They do this by not only offering bible study but encouraging it as well. They understand how essential the faith is to their users and provide the services necessary to create a relationship centered around Christ. How Can I Sign Up for a Faith-Based Dating Service? While I can’t help you find a partner and build a relationship, I can get you started. Broken down below is the three-step process necessary to sign up for Christian Cafe. Although I am focusing on a single site today, most of them operate in a similar manner. You can begin the account creation process by clicking the ‘Sign Up’ button on the homepage. You will first be asked to enter a username, email address, location, gender, and birthdate. These details are crucial because they will determine how your matches are made. Finally, you will be directed to a page with further questions about appearance, faith, and lifestyle (ie smoking and drinking habits). Once your basic details are entered, you will want to add more specific information. This includes the addition of a profile photo. If you don’t know what kind of photo to choose, I suggest you check out Dating Spot’s handy guide. Lastly, you will have the opportunity to provide written descriptions of things like the type of relationship you seek and about what makes you who you are! I highly recommend filling out as much information as possible. Not only will it make your profile more interesting, it will get you more results. The primary method you will employ to meet new people is using the search feature. This tool is your best friend on a dating site because it can help you distinguish between those you would give a chance to and those who you would not. Christian Cafe offers many different filters, including location, appearance, background, and faith. The more you use the service, the more comfortable you will be with the user interface. Before long, you may meet the person of your dreams and I’d love to hear about it! Send me your best stories, comments, or questions and I will get back to you with my thoughts.